Raleigh offers a city break solution that is unique, kind to your bank account, and fun for all the family. With more than 150 parks and lakes, Raleigh isn't just about exciting urban sprawl - although the skyline is stunning, and rivals that of any other city of its size. If you're looking for somewhere to shop, Raleigh has all the shopping malls and high-end boutiques for you to spend your dollars, and there are some world-famous outdoor markets there too. The State Farmer's Market provides all the fresh fruit and vegetables you need, and the stalls selling homemade goods are renown for their high-quality craftsmanship. Raleigh has over 20 attractions that can be visited completely free of charge, meaning you can find something to do every day of your stay that won't cost you an arm and a leg for your family - you can enjoy Raleigh's luxury dining experiences in the evening with that money you saved. 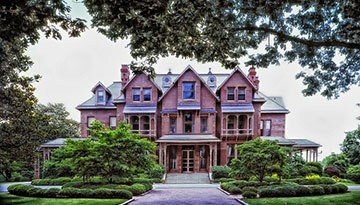 There are three main museums, one each for natural science, history and art. The old civil war cemetery offers visitors the chance to look at famous generals' gravestones, remembering the recent history of the area. Virgin Atlantic offers a flight to Raleigh from Heathrow for £362 return economy, include taxes. 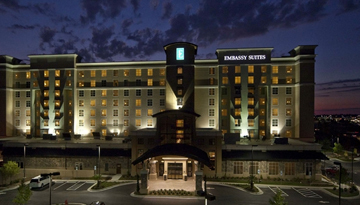 Embassy Suites Raleigh - Crabtree is a luxurious place to stay in Raleigh. 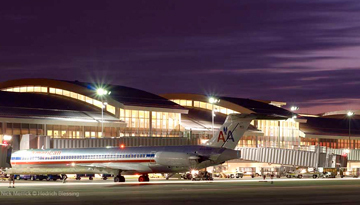 Fly from London - Raleigh/Durham & Stay for 4 nights with 3 star accommodation. Room only.